It’s that feeling in the pit of your stomach when you’re trying to run your business from under a pile of spreadsheets. Excel’s a terrific tool. Until too much of your data is scattered in disconnected spreadsheets. You can’t get your arms around things well enough to make good decisions. That’s when you’ve come down with a bad case of Excel-itis. 1. Symptom: Customer Service’s list of open orders doesn’t match Production’s list. 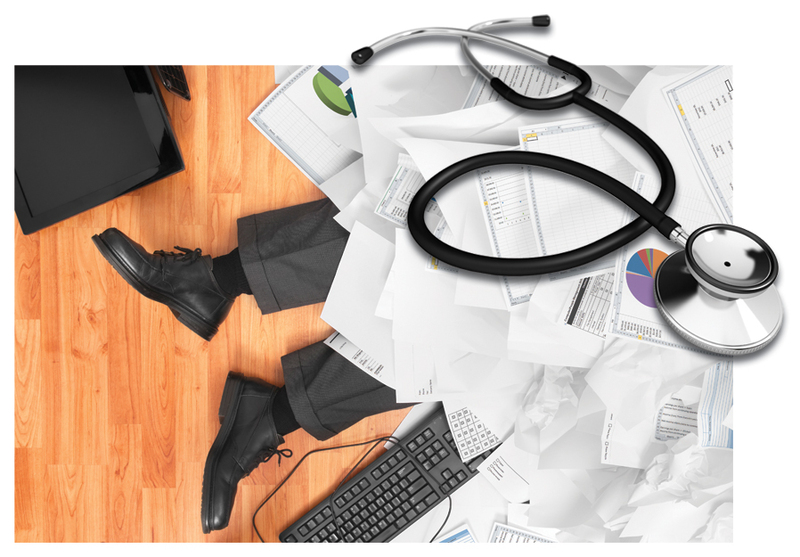 Cure: Use one integrated system where everyone can get the data they need. 2. 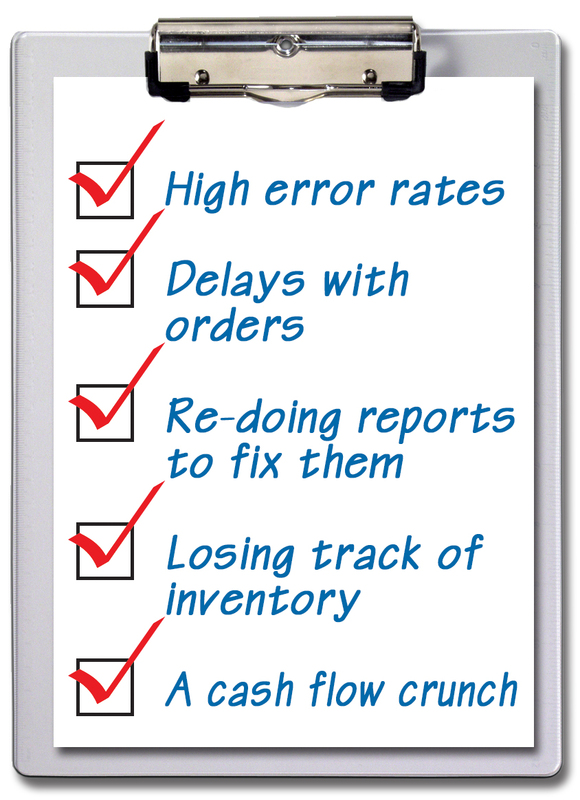 Symptom: You have to hunt through columns to match up receipts and transactions. Cure: Let automatic filters reconcile bank transactions and bank statement receipts for you. 3. Symptom: You cut and paste commissionable orders into worksheets. Cure: Get built-in commission tracking that reports complete calculations per your commission plan. 4. Symptom: Your sales reps do quotes in Excel then re-enter the prices into sales orders. Cure: Let built-in quoting pull in your multi-level item pricing and convert quotes into shippable sales orders. 5. Symptom: Your departments each use different spreadsheets to track fixed assets. Cure: Simplify depreciation schedules with a full-featured fixed assets tool; just click to import and post to your GL. If your company’s processes are unmanageable due to a reliance on too many static spreadsheets—we’ll set up an integrated accounting and ERP system that lets up-to-date information flow from one central place to everyone who needs it.